PALM BEACH COUNTY, Fla-- It’s a dream come true for a Palm Beach County single dad and his daughter who have a place they can call home. 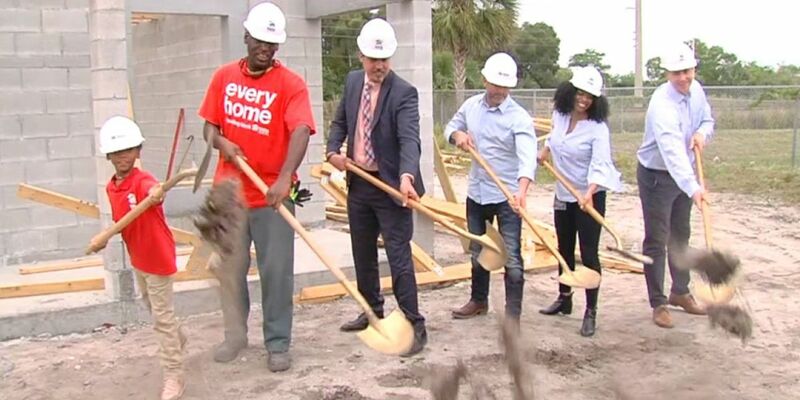 On Tuesday Habitat for Humanity of Palm Beach County had a special groundbreaking ceremony on what will be the new home for the Barr family. Timothy Barr says he’s been waiting for this moment for a long time and his daughter, who is just 8-years-old, said she’s excited about having her own room. “I’m excited because this is me and my dads first time having a house and I’m excited that I have a new room," Timea Barr said. “I’m grateful, and it shows that all the hard work has paid off. Everyone that doubted me saying that I can’t do something, I just been proving them wrong day by day, step by step," Timothy Barr said. The family also wants to thank Christ Fellowship and the city of West Palm Beach for the gift of a lifetime.